This Pissara Delightful Rhodium Plated Solitaire CZ Combo has wonderful look and is perfect for casual wear. 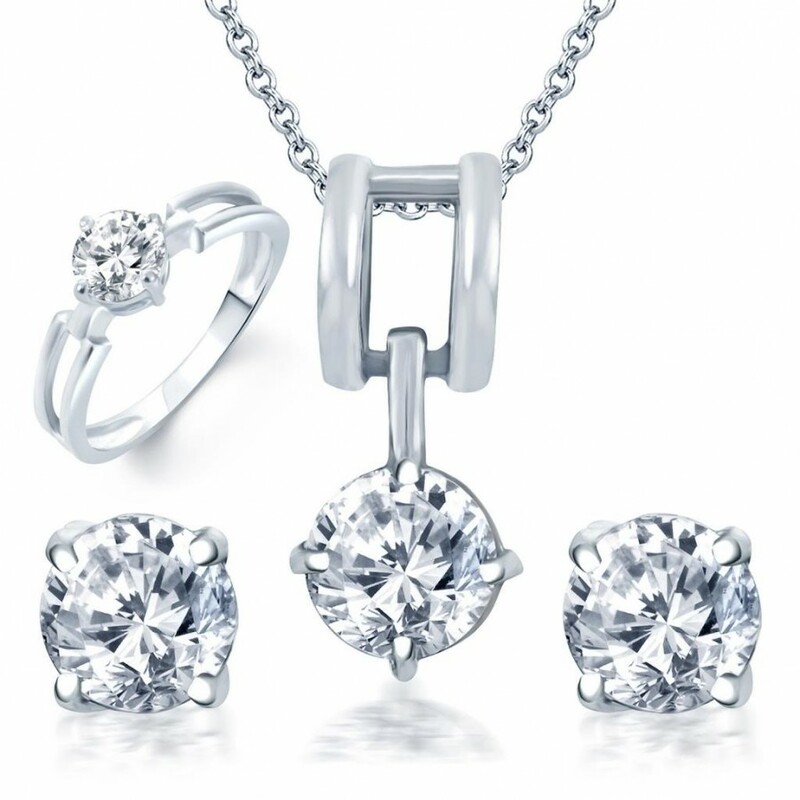 It includes one pendant, one 18 inches chain, one pair of earring, and one ring. Embellished with cubic zircons, it gives a rich appeal. You can wear this set together or individually on western as well as traditional attire. This value-for-money combo is a smart choice.